As of late, there have been lots of these fuzzy caterpillars showing up. They're almost as common as the hickory tussock moth caterpillars. They're about the same size (maybe a little smaller) and seem to hang out on the same tree limbs. These caterpillars turn into a nice looking moth (as far as moths go), although I don't think I've ever seen one in person. As for this caterpillar, I am unsure of it's identification. It looks very similar to the banded tussock, except it's lacking the yellow coloration. 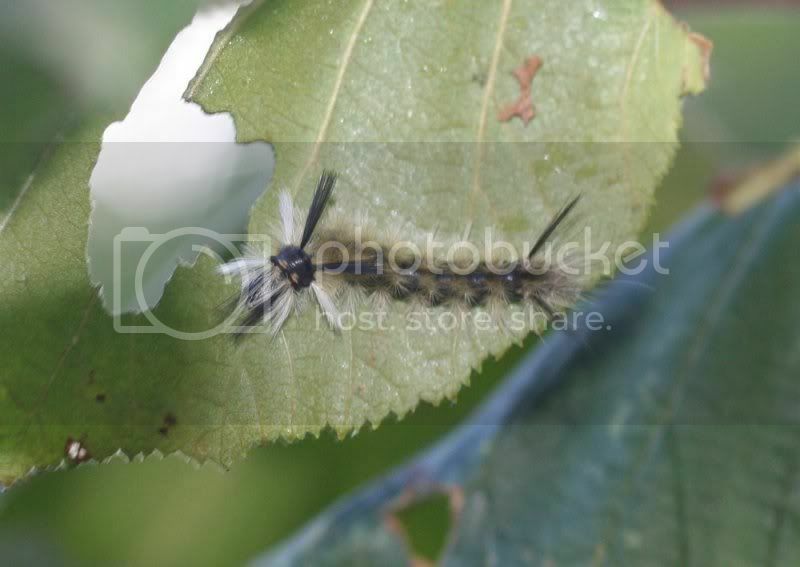 I've also seen similar caterpillars around that were losing hair..so I suspect they have mites of some kind. Maybe that's what is going on with this one? It looks healthy enough... but who knows! As you can see from the aalder leaf, it has a good appetite! The last caterpillar is probably one of the more unique. Most that I've seen are of the hairy variety..this one is more like a grub! When I first saw it, I thought for sure it must be the larva of the Luna Moth... but upon further inspection, I found that it was a much duller green than the Luna Moth caterpillar usually is. 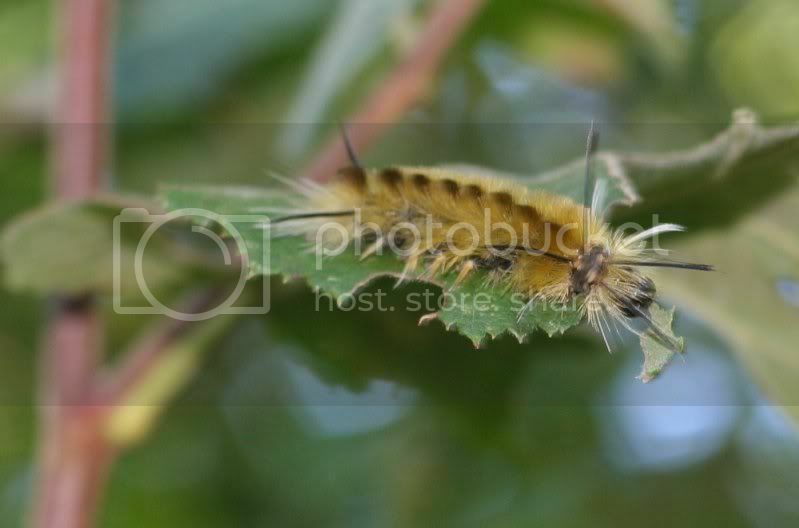 So I searched the Caterpillar ID catalogue and was only able to narrow it down to being the larva of some type of sphinx moth. Many sphinx moths are pretty cool when they fly. I encountered one at my feeder last summer. It resembeled a tiny hummingbird. It flies almost exactly like a hummingbird! I'm not sure if this might be the larva of the same moth, but either way, they're both pretty neat!